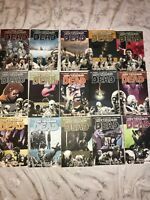 The Walking Dead 1-13 TPB Lot!! WALKING DEAD VOLUME 1 SIGNED & NUMBERED 66/150! HOLY GRAIL!! !